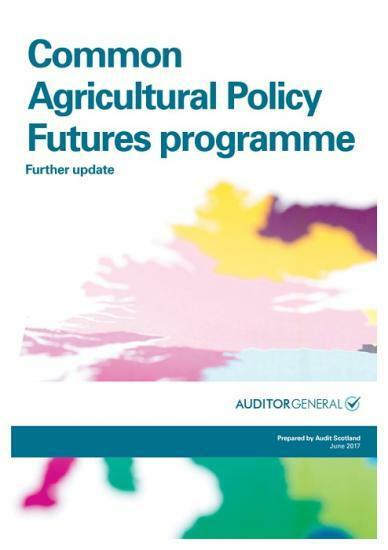 Audit Scotland has reviewed the progress made in resolving serious issues with the Common Agricultural Policy (CAP) Futures programme, created to enable the Scottish Government to provide financial support to farmers and rural businesses in line with European Commission (EC) reforms. The Scottish Government oversaw the £178 million IT and business change programme, which closed at the end of March. Over the last year, significant changes in leadership have been introduced which have brought about a renewed effort to stabilise the programme. However, to date the programme has not delivered value for money or planned benefits for applicants. The applications process has improved, but there are still problems with making payments. The Scottish Government will need to incur further costs to develop the IT systems used for payment applications and maintain existing processes. There is not yet a fully developed or tested plan for recovering the systems in the event of a breakdown. The Scottish Government has used loan schemes to get money to farmers more quickly. Payment delays for 2016 applications meant loans took longer to recover than planned, which introduced more risk to the wider Scottish budget and put pressure on payment timescales and staff. There is still a risk of fines if the payments system doesn't comply with EC regulations, for example by missing deadlines or weaknesses in controls. The Scottish Government is still to carry out a detailed analysis of what penalties it may face, so it can decide where to focus future funding to ensure the system is compliant. Audit Scotland's latest assessment is that fines of up to £60 million are possible. The Scottish Government is making changes to improve longer-term strategic thinking and capacity. These will need time to embed and management time is still being taken up by responding to short-term risks. Transferring knowledge from programme contractors to government staff is also essential, but will be a challenge due to short timescales and immediate payment priorities. Caroline Gardner, Auditor General for Scotland, said:"The challenges of building a complex rural payments system mean the Scottish Government is juggling multiple demands on its time and resources. This has had an impact on its progress over the past year. "It's crucial that knowledge is effectively transferred to staff so the system can be maintained and payments made on time for 2017. The Scottish Government also urgently needs to fully understand the financial risk it faces, so that it can target funding at ensuring the system is compliant and secure."